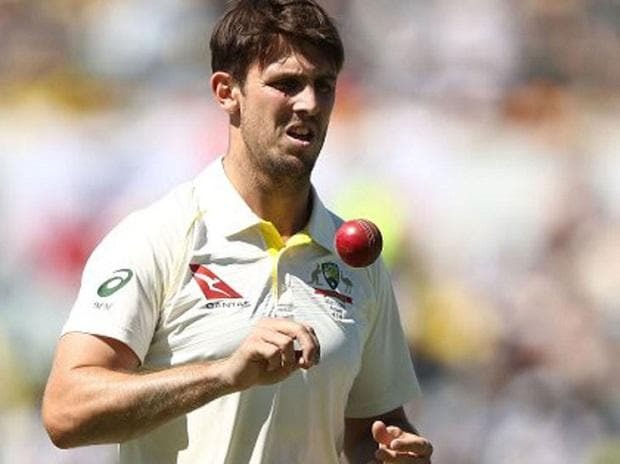 Australia all-rounder Mitchell Marsh has been ruled of the first ODI against India due to illness and the home team has drafted uncapped Ashton Turner as his cover. Marsh has gastritis and has spent the past two days in hospital. Coach Justin Langer said Marsh will not play in the first ODI against India here on Saturday and will monitor the all-rounder's progress ahead of the final two matches in Adelaide (January 15) and Melbourne (January 18). Langer said the Perth Scorchers player Turner's ability to finish off an innings with the bat and his ability to create pressure with his lightning running between the wickets were what got him the nod. "I remember when Mike Hussey came into Australian cricket, the thing that almost got him a shot in the one-day side was his running between his wickets. One of the hallmarks of great Australian teams, you think about Dean Jones and Michael Bevan and Michael Hussey, is the running between (wickets)," Langer said. "That might sound like the dumbest thing you've ever heard but you watch Ashton Turner, the way he runs between wickets is unbelievable. He's such a great athlete, it puts so much pressure (on the opposition)," he was quoted as saying by Cricket Australia official website 'cricket.com.au'. Langer said the 25-year-old Turner, who has played in three T20 International matches in 2017, has been in good form in Big Bash League. "It's a basic (skill) but we've also been talking about getting players who can finish off innings and he's shown that in what we can go off in Big Bash cricket, he's in great form. He can finish the innings off well, an elite athlete in the field and he's also a captain. "You see the way he finishes off an innings that he's a good thinker of the game like most of the great finishes and a really good leader, good person around the group. Very excited to see him come in," Langer said. Turner, who plays his state cricket with Western Australia, had a key role in a Perth win in Wednesday night's BBL match against the Melbourne Stars at the MCG. Playing as the Scorchers stand-in captain with Mitchell Marsh on national duty, Turner has scored 43 not out, 47 and 60 not out in his past three BBL matches. On the other hand, it has been a rough week for Marsh, who before falling ill was dropped from the Test squad to face Sri Lanka. Langer said it was a tough decision to make, given the close bond he shares with the Marsh family. "I've known them since they were kids, Geoff Marsh (Mitch's father) is one of my best friends, which makes it hard. He's also been a coach with West Australian cricket," he said. "But at the end of the day we all know, the boys know and 'Swampy' (Geoff Marsh) knows that this is a tough business and if you're not performing you don't get selected. And that's how that decision came about.